Natural Lawns; we think it’s hard to beat the feel and look of a good lawn, and for many the maintenance & upkeep involved is more than rewarded by the feel and presence of a natural lawn in their garden. If that’s the case then we think that A Diversity’s lawn will really impress. 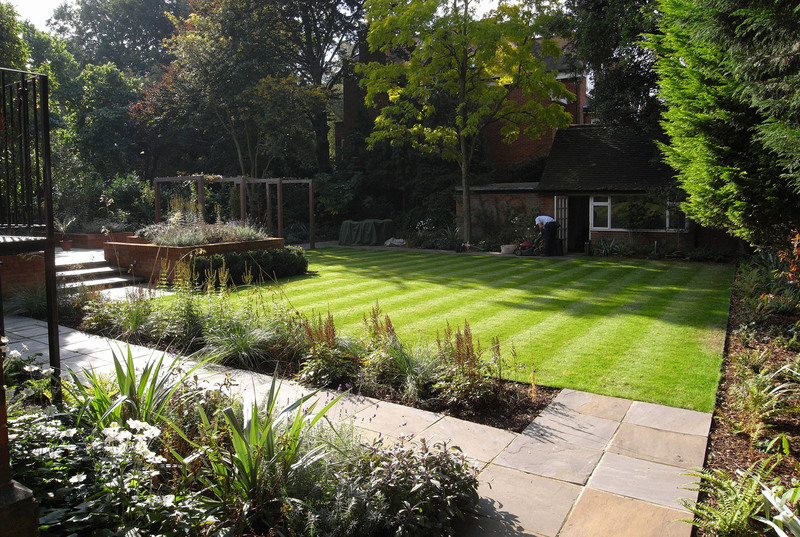 Through a combination of thorough groundwork preparation and using high-quality materials from suppliers such as Rolawn, the result is a lush hardwearing space that is great to look at and use. In most cases we advise the lawn to have some form of edging – this can be done effectively using various methods such as brick, timber, metal. 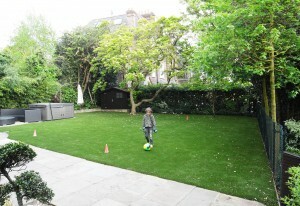 Artificial Lawns; For many gardens, especially in heavily built-up parts of London, a natural lawn is simply not viable. As well as requiring regular care and attention, a natural lawn has many enemies – to name a few; compaction from foot-traffic, animals and shade are all heavy contributors to lawns failing. In situations like these and where clients still desire a lawn area, we recommend installing an artificial lawn. Long gone are the days where artificial grass was likened to the ‘astroturf’ that greengrocers laid their fruit out on – the numerous artificial grass materials available today are very realistic and work extremely effectively. In fact there are so many good reasons for an artificial lawn that we at Diversity often promote them over natural lawns. 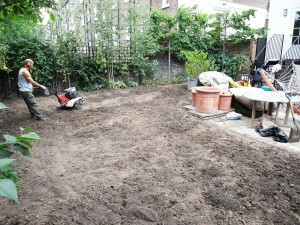 The installation techniques require similar techniques as those used to prepared a base for a terrace, so it’s by no means a small job. However, once it’s down, you then have a very low maintenance & hardwearing lawn that can handle heavy-use all year round.